We share our expertise and enthusiasm for psychology with over 800 students. We offer undergraduate and postgraduate courses, and a Doctorate in Clinical Psychology, all accredited by the British Psychological Society. As one of the largest and best resourced psychology departments in the UK, we can cover all areas of psychology. 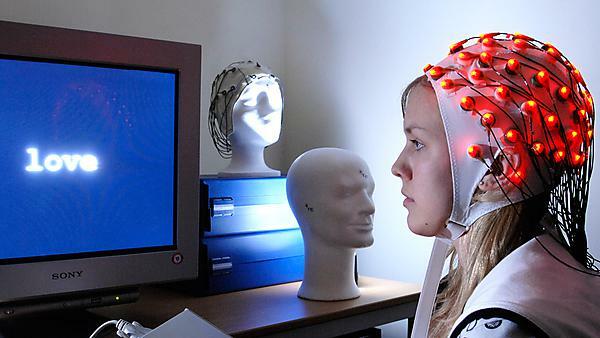 Plymouth is in the top 20 of all UK universities in psychology, neuroscience and psychiatry with 83 per cent of our research output rated world-leading or internationally excellent by REF2014, placing us above Bristol, UCL, Manchester, Southampton, Bournemouth, Portsmouth, and many others. Our research impact was equal to that of Exeter, and we were the top rated modern university overall. The School holds a Bronze Athena SWAN award in recognition of our commitment to improving gender equality. The University of Plymouth holds a Silver Award in the TEF (Teaching Excellence Framework), and was commended for its course design and assessment practices; its institution-wide focus on student employability, work-based learning and entrepreneurship; and the sustained and substantial institutional investment programme to enhance learning resources, both physical and digital. We take our students' experience at Plymouth very seriously. See what it is like studying here through the School of Psychology web pages, compare us with other Universities in the region, and find out about some of our recent graduates or about our international exchange year and optional work-placement year. You'll also like to know that all students enrolling on our BSc and MPsych courses receive the core textbooks free – worth around £1500. Psychology has links with universities around the world – we host their students and our students can study abroad. What's special about Psychology at Plymouth? Could it be the £1500 of ebooks, the chance to spend your second year abroad, or is it our optional year on placement to gain work experience and boost your career prospects? Perhaps it is the Research Apprentice Scheme, where you work on real research projects, or the Student Council that helps to run the School. Our graduates go on to pursue a wide range of careers after studying their first degree. Whether you continue studying for a further degree or look for employment straight away our emphasis on employability will put you ahead of other graduates. If you would like to find out what other psychology graduates are currently doing, please visit the psychology and social sciences interest area. The three schools of Health Professions, Nursing and Midwifery and Psychology combine world-leading research and practical expertise across a wide range of scientific and practical disciplines. Our staff and students form a diverse learning community and we are proud to support them in being themselves by celebrating how diversity enriches all of our lives. In line with University policy, we do not tolerate bullying or harassment and we are continually working on how best to support everyone in being the best they can be. Jackie Andrade and Joana Galvão Gomes da Silva have shown for the first time that a social robot can deliver a ‘helpful’ and ‘enjoyable’ motivational interview (MI), a counselling technique designed to support behaviour change. Research by Belén López-Pérez in the School of Psychology suggests that people who gave 'tough love' to their friends were actually more like to empathise with them and want them to succeed. Dr Susan Blackmore, Visiting Professor in the School of Psychology, has appeared on Radio 4’s Moral Maze programme discussing whether religious orthodoxy is able to exist in a world of increasingly liberal values. A study by Dr Helen Lloyd sees the development of a practical tool to support organisations and practitioners achieve the organisational change which needs to happen if they are to provide personalised and coordinated care for people with multiple long term conditions. A new study by Claire White in the School of Psychology has received national coverage after investigating why young adults might post content on social media that contains sexual or offensive material. 'The Guardian' invites readers to take a seven-question test, and, according to Vaibav Tyagi, Yaniv Hanoch, Stephen Hall and Sue Denham from the School of Psychology, if you score 6 or 7 out of 7, you count as more risk taking, and therefore more creative, than the average person.